So much for a peaceful end to the lazy summer days in Canada. Nafta was not the only source of unrest and potential political unrest for Prime Minister Justin Trudeau this week. The Already Overheated Debate The expansion of Alberta's Trans Mountain Pipeline into an oil tanker port in Burnaby's suburb of Vancouver became even hotter when the Federal Circuit Court overturned the government for failing to conduct serious and meaningful consultations with indigenous peoples. The court also ordered that the National Energy Board investigate the environmental impact of more tankers in the waters off the coast of British Columbia. Although the project is unpopular with many Liberal supporters, the government has extended the pipeline, which is expected to be purchased soon, heavily supported, partly to assist Alberta with its carbon tax program. So it was not surprising to see an angry Rachel Notley, Alberta's prime minister, appear on television hours after the announcement of the news to announce that the government of her province is canceling the CO2 reduction program until construction workers actually join begin the construction of the pipeline. But Mrs. Notley, whose political fortune is also based on the project, was not the only person with sharp words for Mr. Trudeau. 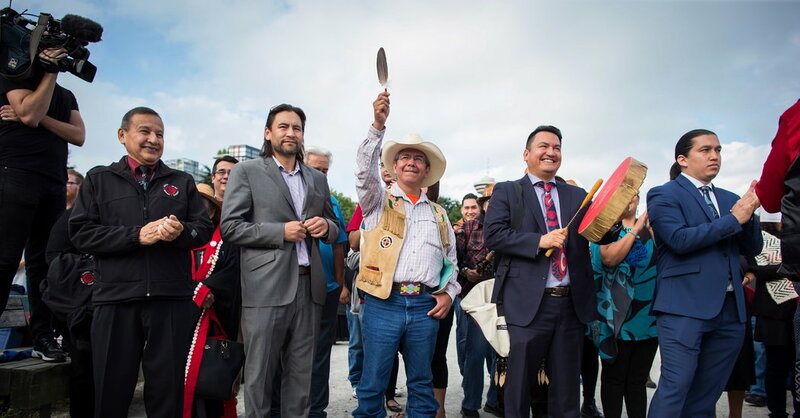 Many indigenous groups, who were the main claimants in the lawsuit, called on the prime minister to stop the expansion, as well as environmentalists and politicians on the left. Some are against it, because the pipeline mainly transports oil from the oil sands of Alberta they consider to be a particularly polluting source of energy. Others, including British Columbia's John Horgan, fear a catastrophe when a tanker sinks or splits off the coast. What must a PM do? As part of his oft-voiced position that Canada needs the economic strength of its energy industry, which deals with climate change, Mr Trudeau announced in May that the government would do so buy Trans Mountain from its American owner. This company, Kinder Morgan, had earlier abandoned plans to expand the pipeline against resistance from the British Columbia government. Mr. Trudeau's promise to end the project has made the government an actor in the energy industry for the first time since the founding and ownership of Petro-Canada. And that leads to criticism from the right, even among those who support pipelines. Enemy opponents quickly portrayed the Court of Appeal's decision as a crippling blow to the expansion plans. But legal experts I've talked to, and even the verdict itself, suggest that the description could be an exaggerated exaggeration. The ruling does not vindicate indigenous groups against the pipeline and does not require the government to negotiate with the groups. However, the government must go back and better consult with them, a process that experts say can only take six months. Regarding the marine review, the government claims to have already assessed these issues, but not the National Energy Committee. That can be resolved just as quickly. Answering the legal issues will of course only cause the pipeline construction workers to work. Reassuring the political tensions will not be easy. For Mr. Trudeau, the biggest challenge may be to keep Trans Mountain from turning into something that does not satisfy anyone. "Edge of the Knife" will premiere next Friday, September 7, at the Toronto International Film Festival. The film has a Haida cast and tells the Haida story of the "Wildman" who is lost and becomes wild in the forest. In this narrative, the wild man loses his mind after the death of a child and is brought back to his community through a healing ceremony. We have a limited number of free passes for New York Times subscribers. We offer them according to the principle "first come, first served", and here you will find more information. And a last reminder that in the time of Donald J. I will give a lecture on the state of American politics Trump at our very first event in Ottawa. On September 5, I will be in the National Gallery of Canada with Julie Hirschfeld Davis, White House Correspondent, and political reporters Jonathan Martin and Ashtead Herndon from Washington. There are still a few tickets available and you can find all the details here. I look forward to meeting the readers of Canada Letter after the event. Our Watching Times, the Times Guide for viewing on screens of all sizes, has their September referral list for Netflix subscribers in Canada. This month's films include the critically acclaimed epic poems "Black Panther" and "Jane," a documentary about chimpanzee researcher Jane Goodall by Brett Morgen featuring an original soundtrack by Philip Glass. The television series "American Vandal" also returns for its second season. – As the bitter reality of Labor Day looms, you can Watch your summer iPhone photos now. Are not they what you hoped for? JD Biersdorfer, our in-house tech guru, has a guide to turn this disappointment into joy. -David Pecker, a friend of President Trump, retired this week as director of Postmedia, the publisher of a wide range of Canadian newspapers, including the National Post, the Ottawa Citizen, and the Calgary Herald. Mr. Pecker is also chairman of the company that owns The National Enquirer. For decades, he used his position to buy Mr. Trump dirt to hide it. This week, reporters Jim Rutenberg and Maggie Haberman revealed that Mr. Trump had been working on a plan to buy this hoard. -Global warming increases the appetite of vermin, and it is our food that they will use to satisfy their growing hunger. – Some top American universities are faced with complaints about how to deal with students coping with emotional issues. -Lego wants to change from the petroleum-based plastics that he has used for over 50 years to the game pieces that have hurt the bare feet of countless parents. It will not be easy to achieve that. Ian Austen, from Windsor, Ontario, was educated in Toronto. He lives in Ottawa and has been reporting on the New York Times Canada for the past 15 years. Follow him on Twitter at @ianrausten . How are we? We would appreciate your feedback on this newsletter. Please email your thoughts and suggestions to nytcanada@nytimes.com. And if you have not already done so, please subscribe to the e-mail newsletter version.